Celebration is a beautiful thing. Celebration is a surrender to what is; a wholehearted appreciation for the present moment. Celebrating our lives, our bodies, our circumstances, our food, our allergies; everything that has led us up to this point, is our choice. We can choose to act the victim, or we can throw our inhibitions to the wind and live like there’s no agenda – like our world is perfect, just as it is. My happiness is my responsibility and the only thing standing in the way of it, is how I choose to perceive the world around me. As difficult as it is to face the changes that life throws at us, as scary as it is to go down paths that we hadn’t planned for ourselves, or to give up things that are dear to us, there is limitless potential in the world around me and I am choosing to celebrate it. There is always something to celebrate in our lives; however big or small. 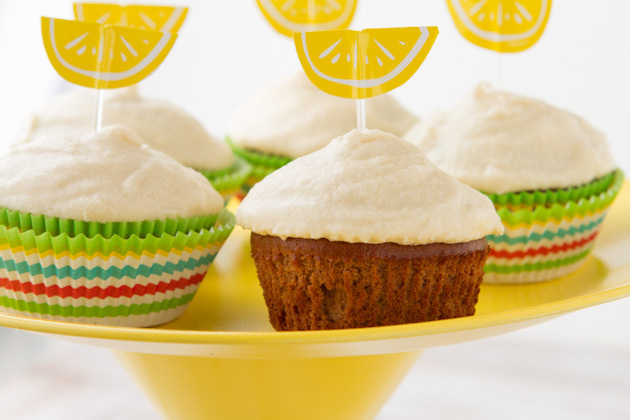 And there’s nothing quite like a fresh batch of cupcakes to ring in a celebratory occasion. So, preheat your oven, toss your fears of the unknown aside, and let’s get to celebrating the awesomeness that is your life. 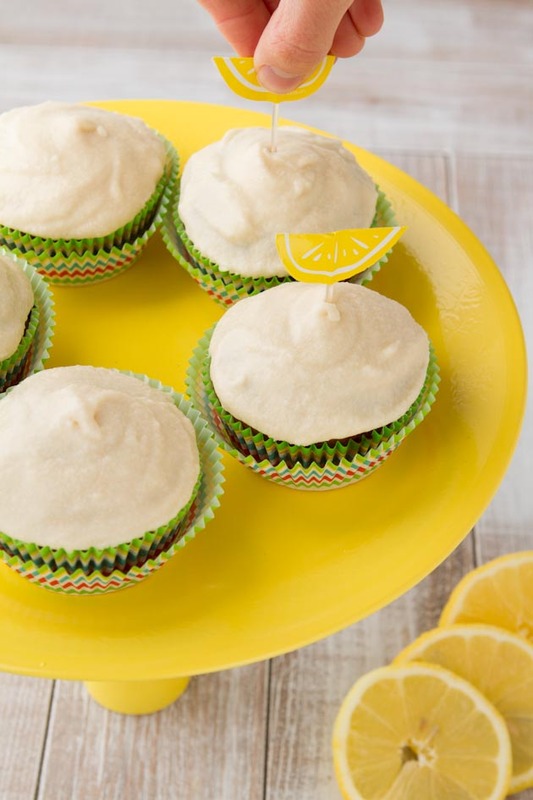 Moist and delicious grain-free lemon cupcakes with dairy-free buttercream frosting. It doesn't get better than this, ladies! Preheat oven to 350F and line a 6 cup muffin tin with paper liners. Set aside. Add dry ingredients to a medium-sized bowl. Combine with a whisk. 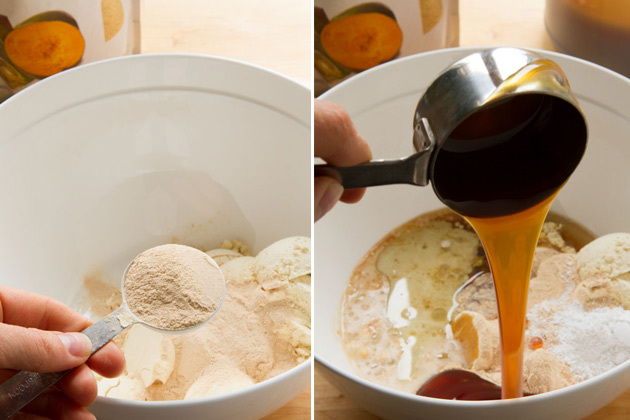 In the same bowl, add wet ingredients: nectar, milk, egg whites, oil, extracts and zest. Bake in preheated oven for 23-25 minutes, or until toothpick inserted comes out clean. 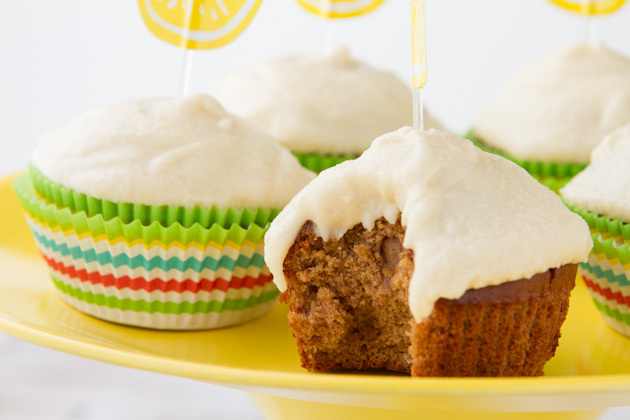 I found that the toothpick held a bit of gumminess due to using chickpea flour but left to cool, they firmed up perfectly to the consistency of a real, gluten-packed cupcake. 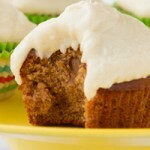 Remove from the oven, and immediately take out of muffin tin. Place on a cooling rack to cool completely, about 1 hour, before adding frosting. Vegan and egg-free – I’m sure that you could try making this recipe vegan or egg-free by replacing the egg whites with 2 teaspoons of ground flax seed and 4 teaspoons of warm water. Let sit for 5 minutes, then use in recipe. I have not tested this, but it’s where I would start. That, or an equal amount of apple sauce or banana puree. Baking soda and baking powder – if you are going to use conventional baking powder or baking soda (not the Ener-G brand), reduce the measurements by half of what it calls for in my recipe. Lucuma powder - I'm sure that this can be replaced with an equal amount of protein powder, banana powder or any other super food powder. In the same bowl, add wet ingredients: milk, egg whites, oil, extracts and zest. Mix thoroughly, then add boiling water. Stir completely. 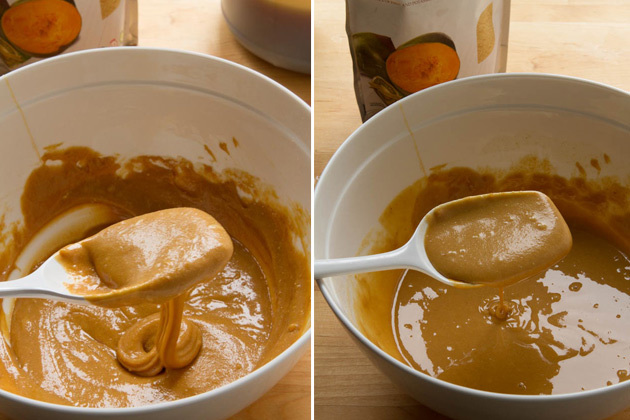 The batter should be quite runny as the picture on the right shows.